Petit Collage is all about good design. 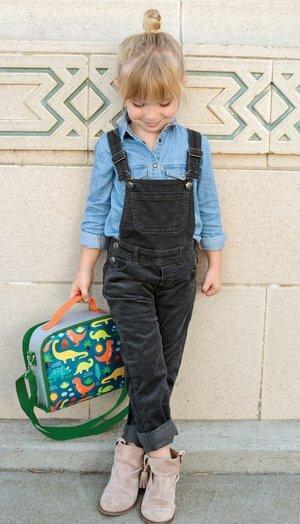 We combine a modern aesthetic with a sustainability criteria to create bold, thoughtful goods that inspire little ones. Lovingly designed in our California studio, we strive to make our products as beautiful as they are fun to use — toys, playthings and decor that are loved by both kids and their parents. Our first product was a hand-crafted collage using recycled materials. That product inspired not only our company name but our sustainability ethos. Ten years later we still choose the materials we use carefully, from recycled cardboard to FSC-certified wood and soy-based inks. We avoid plastic. Our products are designed with the health of our children, and the planet, in mind. Our products are sold around the world, in renowned stores including Anthropologie, Barnes & Noble, Whole Foods and thousands of independent specialty stores. Petit Collage is the brainchild of Lorena Siminovich, who dreamed up the line in 2006 with her distinctive, handmade collages on wood. What started with simple collages has since blossomed into a vibrant collection loved the world over. Lorena has been featured by the Martha Stewart Show, The New York Times, the San Francisco Chronicle, Dwell Magazine and popular blogs such as Oh Joy, Decor8, Design*Sponge and Design Mom. Originally from Buenos Aires, she lives in San Francisco with her husband and daughter in a mid-century art-filled home on a hill and works in a bright, sunny studio with her dream team of six.